The indigenous community has long been a male-dominated society. With the title of pajé or shamans only for the males, and the housework and child-bearing for the females. But unlike the world we live in, where we can now vote for the next president and be elected president without much complain from our male counterparts. For women in the indigenous world, it is still a challenge to become a pajé or shaman, and not be considered as a threat to male pajé. But with the initiative of empowered women, there’s more like Leticia Yawanawá, a woman pajé who successfully overcome the inequality in leadership opportunity in their society. And in this interview, she talks about the challenges of achieving gender equality in her community, what it takes to become a pajé, let alone a woman pajé, what ayahuasca gives the Yawanawá people, what are their concerns to the initiative of making ayahuasca a cultural heritage of humanity, and the work that the Indigenous Women Organization is doing with 18 ethnicities to maintain their traditions and medicinal knowledge. Matsa is the Coordinator of the Organization of Indigenous Women of Acre that represents 18 different ethnicities over three states of Brazil. Lorna: What is your name and your role in your tribe? Leticia: I am Matsa Yawanawa, in my language, I am called Matsa, My name in Portuguese is Leticia Yawanawa. I am the Coordinator of the Organization of Indigenous Women of Acre, south of the Amazon and northwest of Rondonia. As a Coordinator, we work with 18 tribes in 3 states. The demand of our activities is the work with men and women on gender equality. Lorna: What do you see as the challenges in gender equality in the indigenous community and indigenous leadership? Leticia: There are so, so many challenges… If we live in a male-dominated society, in the indigenous world, it’s even more so. It bothers to say that, but it’s the truth. In the indigenous world, culturally, the women are meant to make food and take care of the children. In many tribes, the men prepare the plantation, but the women are the ones who plant and harvest with their children. This is cultural; so it’s our great challenge to get them to know that we are not competition, that we don’t want to compete, we want to be together, to add, in our fight. This is our challenge. But we are overcoming it; because there never was indigenous women leaders, today we have. Nowadays we have me as a Coordinator, coordinating an organization that most of the time have more men than women. Our fight goes beyond our rights, so we can say we face a big challenge. Lorna: If a women in your community was talented with plants and wanted to study pajelanca, would she be allowed to? Leticia: Nowadays we already have women, such as Putanny and Hushahu, who were the first women in our people to step on the most sacred grounds, where only men where allowed before. One of their teachers was Tatá and my father, my grandfather, so all these people were their teachers. 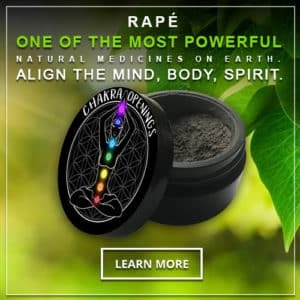 Up until that moment everyone said women couldn’t drink ayahuasca or be pajés. But we found out that we have to accept this challenge, and give this opportunity to ourselves, the women. To say that we are also capable, that we can also do the same healing work within our spirituality, like the men, or even better. Lorna: What does the path of a pajelanca look like for a member of your community? What does it take to become a pajé? Leticia: The process is very difficult; it is very difficult. Some men don’t make it through one or two years; and the women spent 4 years – she overcame all that which they said were difficult. That’s why I say, to be a pajé is a challenge that us women must have. By the way, these headdresses as well, mine and of my friend, my relatives, her… back in the days the women could not wear them; they said they were only for the great leaders, that you women, you menstruate, you bear children, you cannot wear this headdress, it’s just for men. No, today, we wear them. We do not want to compete, we want to be recognized for what we are, hardworking women, women who also want to be with our people, for the defense of our territories, of our medicines, of our forest, of our rights. Lorna: What is ayahuasca for your people? Leticia: Ayahuasca for my people, for the people who drink ayahuasca, they take it very seriously, with much respect. Ayahuasca gives you another life, even if you are at an advanced age, you receive another life, a life of knowledge, of unification, of humbleness. Ayahuasca teaches us our designs, the patterns you see in our bracelets, on our body, the designs I have today on my face, everything she gives you. All you need is the will to learn, and to respect. Because to drink Ayahuasca, there are a series of things you cannot do: you cannot eat anything sweet, or just any kind of food. For example: There are a lot of people who don’t take that seriously anymore, they drink ayahuasca and do whatever they want. Not us. But we take this very seriously, if you want to drink ayahuasca there are things you cannot do. So do not do them. Lorna: As an indigeneous person, what are your concerns about the initiative to make ayahuasca a cultural heritage for all of humanity? Leticia: We, indigenous women, in our organization, we work with the midwives and pajés (shamans). In 2006, 7, 8 and 9 we did this work, we did a work with the midwives and shamans, so we could… not only with my people but with 18 other ethnicities, the organization works with 18 different ethnicities. We saw that our medicines – we guard them with secrecy. This work that we did make possible for us to witness the experience of people who still maintain their traditional medicines culture and knowledge. Uni, ayahuasca, is just one of them, not the only one, she is one of them. Because the indigenous people have a broad knowledge. This work with the traditional indigenous medicine, of the medicinal plants, is something that us women want to maintain and work again. Our goal is to plant 5 thousand medicinal plants of 18 tribes, with varied plants. It’s our goal, to leave to the younger generations, to keep this knowledge from passing away, to finish.